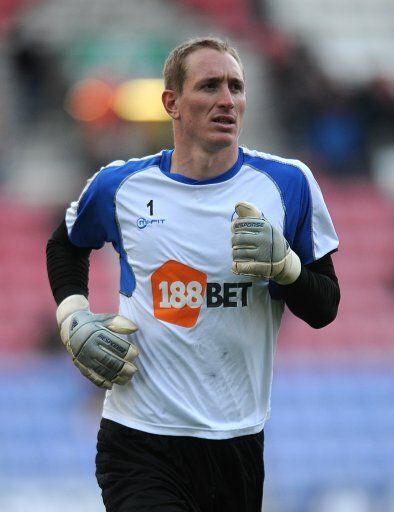 Should everything go to plan, it looks like Leicester City are all but set to land Wigan ‘keeper Chris Kirkland before the loan window closes tomorrow evening. “Things have been delayed by Chris’ bug, but we will be sitting down to have a chat about the situation. He got the bug last Thursday night and couldn’t travel with the team to Old Trafford, but he trained all right on Monday. “He’s lost a little bit of weight, but he’ll hopefully regain that very quickly. Now he’s over the bug, we’ll look into what we can do to help him enjoy his football. “He needs to be playing football, and being able to maintain that sharpness that you only get when you’re playing regular football. By the looks of things Sven is steadily assembling himself a decent squad down at the Crisp Bowl and, thankfully Kirkland should be added to the Foxes’ ranks just in time to keep Forest at bay next Monday. Hoo-flippin’-ray. UPDATE: Leicester have also just confirmed that West Brom’s bustling target man Roman Bednar has arrived at the club on an emergency loan until January. As I said, Hoo-flippin’-ray. captain kirk aint half bad.